Newly delivered single deck Chesterfield Corporation Straker-Clough trolleybus No 12 outside the now demolished Terminus Hotel on Chatsworth Road. 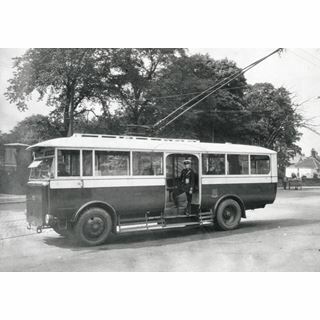 Trolleybuses replaced Chesterfield's electric trams in 1927 but themselves only lasted until 1938 when motor buses took over. The redundant tram tracks can be seen to the left of the bus, together what is probably a stepdown transformer kiosk for the overhead electrical supply. The milkman's horse-drawn float in the right background provides a marked contrast to the new technology. 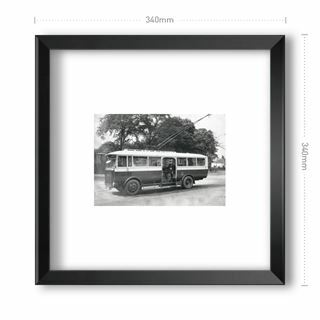 Straker-Clough trolleybuses were only manufactured in the years 1921-26, a total of 63 being constructed. 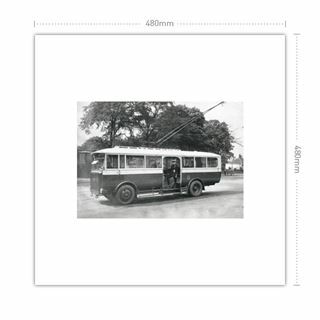 The firm of Clough, Smith and Co Ltd, founded in 1910, were engineers and contractors who were responsible for numerous overhead and traction supplies for tramway and trolleybus systems in Great Britain. 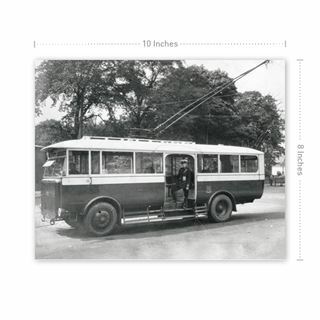 They entered the trolleybus production market after the First World War using chassis produced by the Straker-Squire company of Edmonton, London, electrical equipment by BTH of Rugby, and bodywork from either Roe (Leeds) or Brush (Loughborough). The resulting machines were marketed as Straker-Clough and came as part of a package that included the design, supply and erection of the overhead wiring. 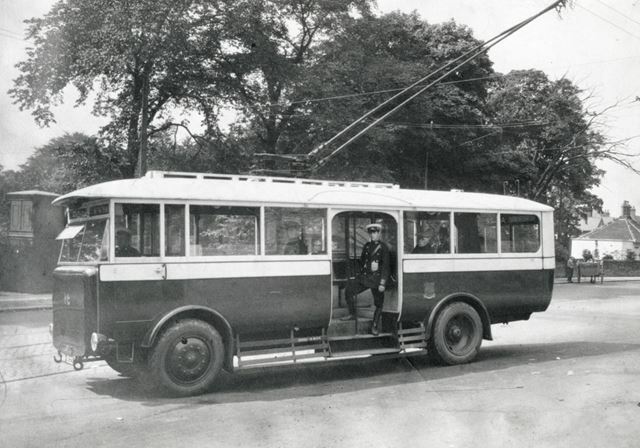 Production came to an end after Straker-Squire got into financial difficulties in 1925, although Clough, Smith and Co then found an alternative supplier in the form of Karrier Motors Ltd of Huddersfield, subsequent trolleybuses being styled Karrier-Clough. Forty-four of these were turned out up to the end of production in 1932 when the agreement was terminated.